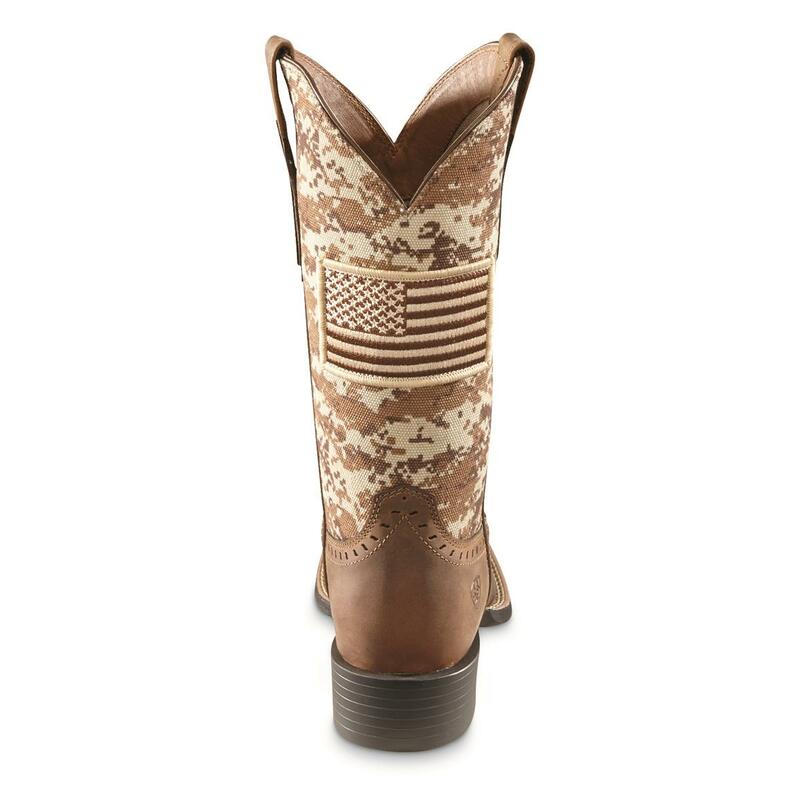 Hit the road in these Patriot Boots. 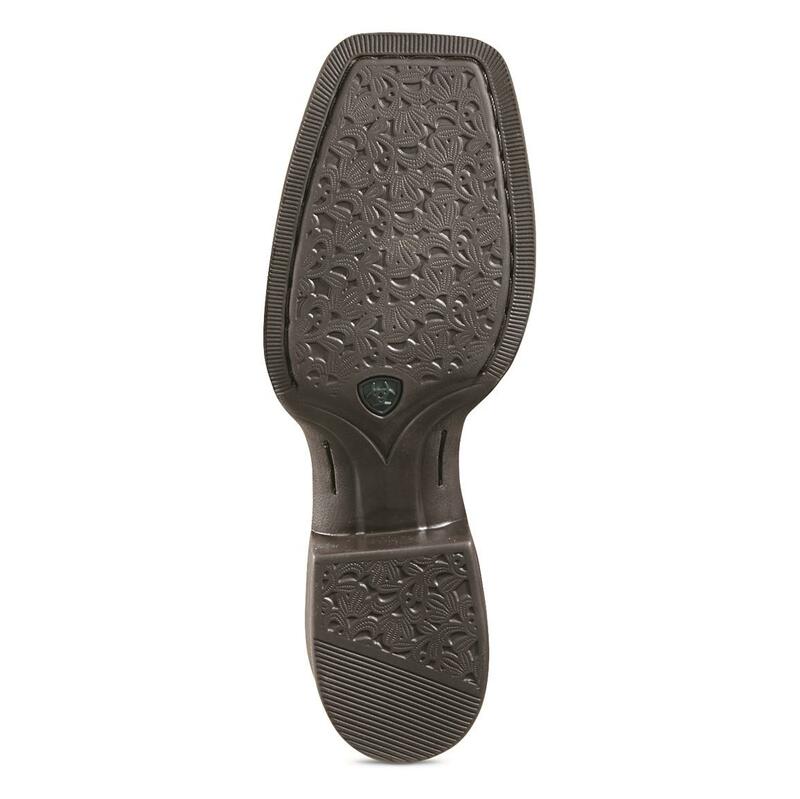 4LR technology's 4-layer insole provides the comfort, while the lightweight shank provides support. 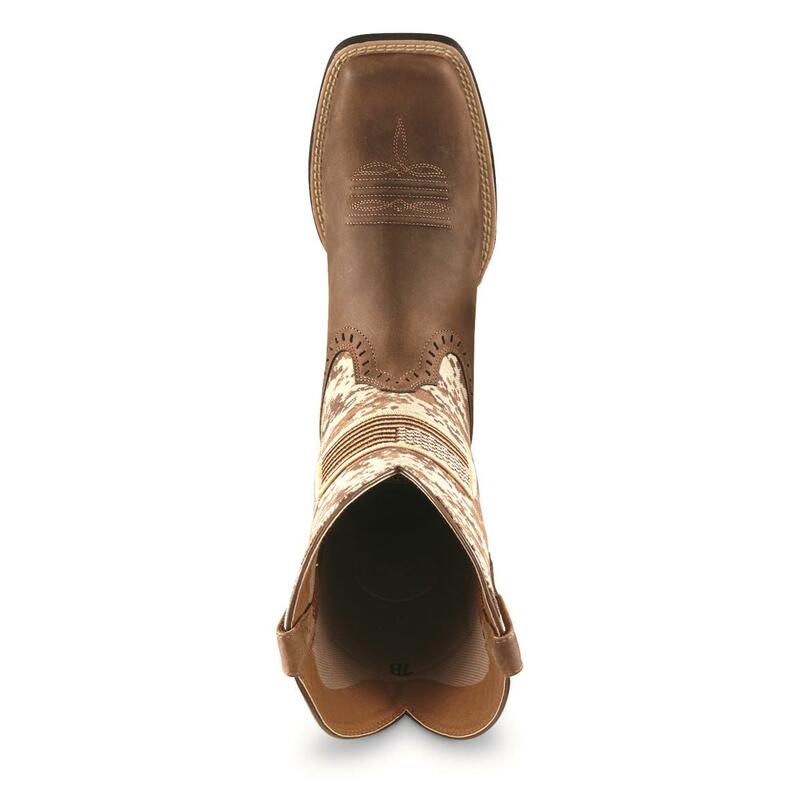 The Duratread outsole lives up to its name while remaining flexible…it can handle chores just as much as keeping you comfortable while in the saddle. And that heel comes in handy for riding as well. 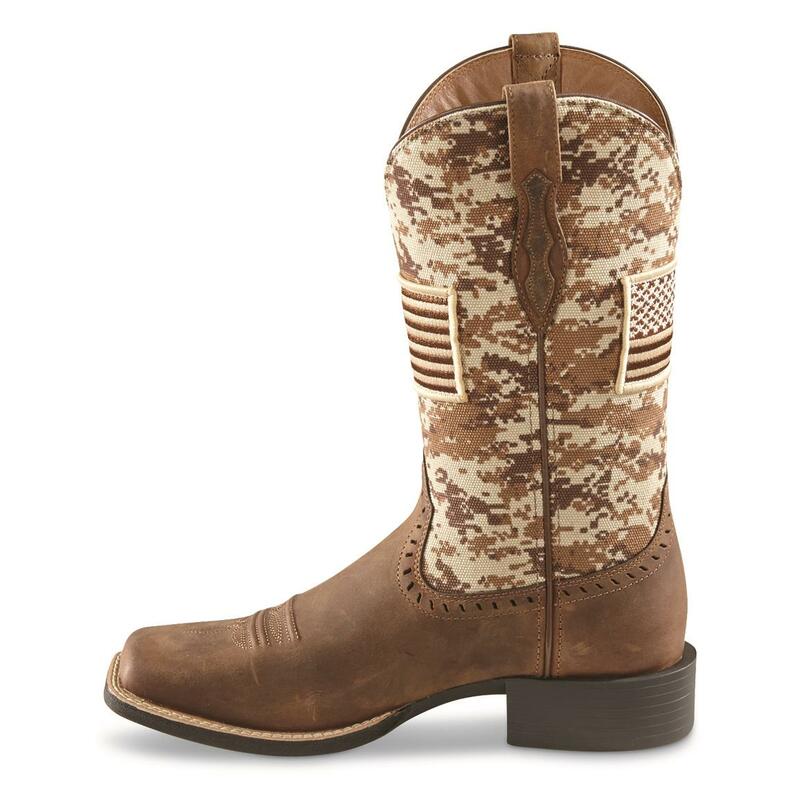 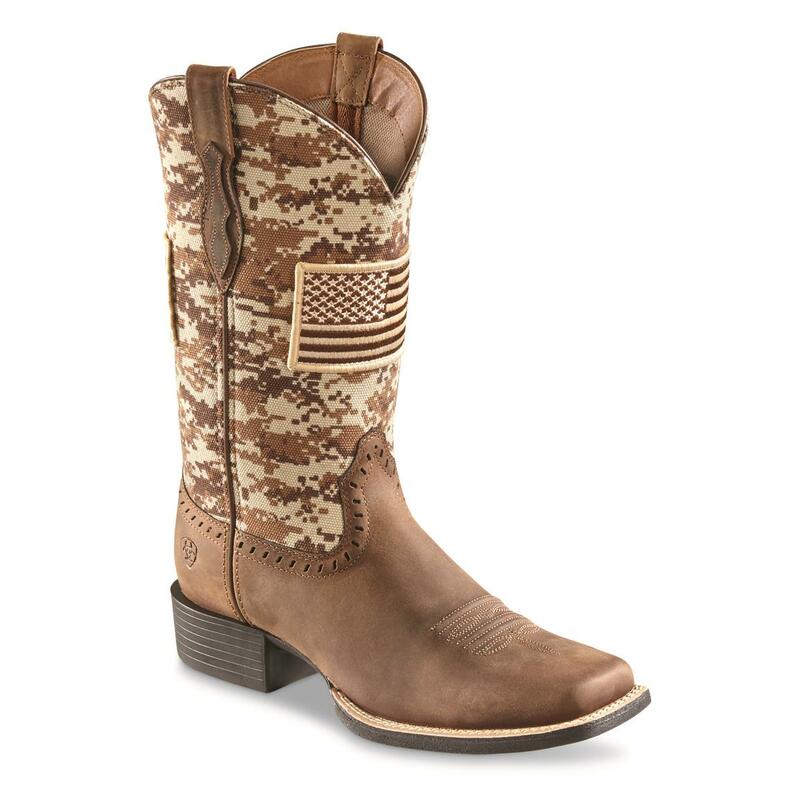 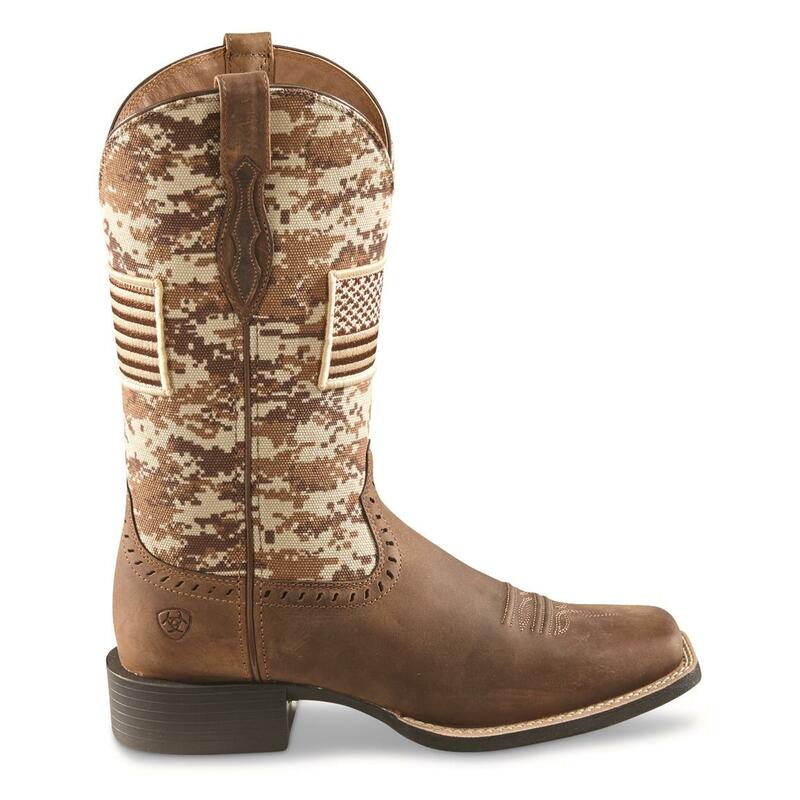 Best of all, these Boots are adorned with the American Flag over a sandy digital camo print. 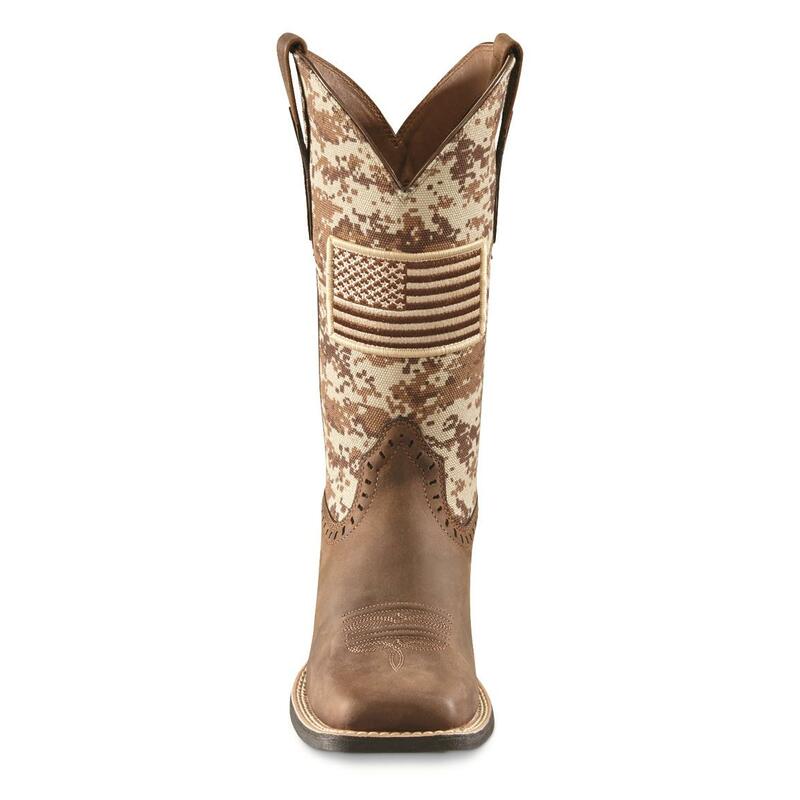 Order these Ariat® Patriot Boots and have them sent right to you!